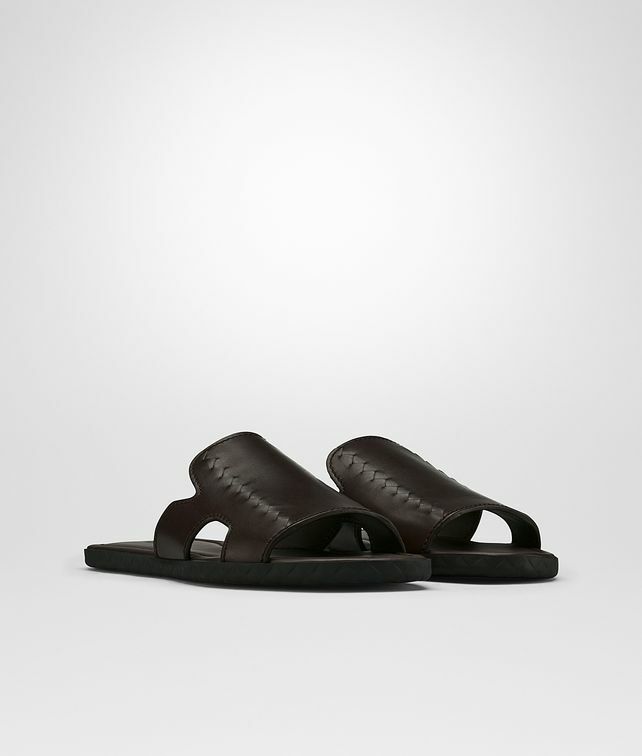 A warm-weather essential, the Plage leather slides are crafted from sturdy Cuir leather. The upper is detailed with a diagonal inlay, a signature workmanship that lends the style a simple yet refined appearance. Finished with an Intrecciato-embossed rubber sole.